I am convinced that students need to love what they play, and I aim to find pieces that inspire and motivate! I enjoy working with all ages and levels, from young children to transfer students and adults. When I bring in a new student, I build on that student’s strengths and interests as a basis for discovering their underlying musical passions. I strive to make the learning process fresh and exciting. 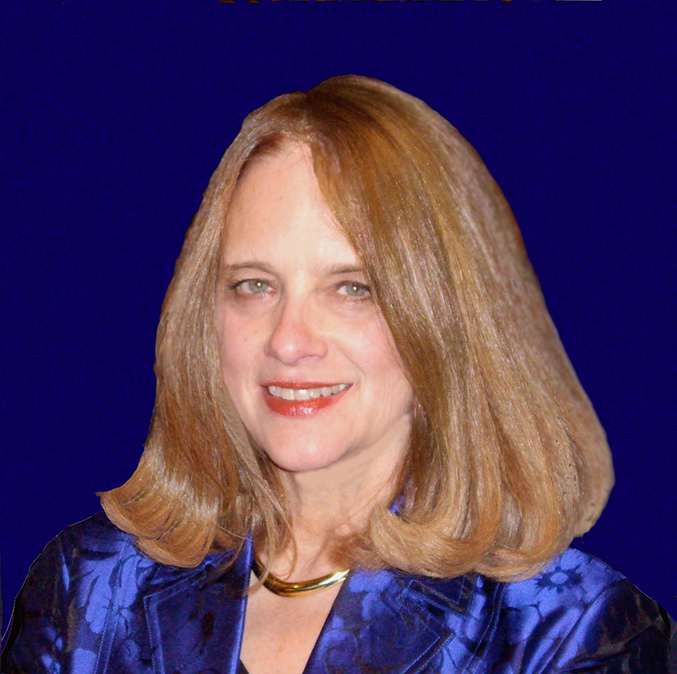 With a background of extensive study under master piano teachers, a M.M. degree in Kodály music education and years of teaching experience, I am able to help students develop as complete musicians. Classical music is the cornerstone of my teaching repertoire, but I also include jazz and popular pieces. I emphasize the fundamentals of chords and theory to help students develop a deeper understanding of the music they are playing. This provides a springboard for them to play by ear, compose and arrange their own music. My garden music studio is a tranquil setting with materials and teaching aids close at hand. I teach on both a Knight upright and a Yamaha C3 grand piano. Lessons are either 45 minutes or one hour in length, depending on age and level of student. Throughout the year, students have the opportunity to play for each other in several low-pressure studio workshops, designed to foster confidence in performing. In the spring, students play in a formal recital with parents and other family members in attendance. These events take place in my spacious living room. My former students have excelled in many capacities, including: participating in the Junior Bach Festival, winning awards in classical competitions, directing and performing in successful jazz/rock groups, and making recordings and videos. Most importantly, they acquire a deep love of playing piano that lasts throughout their lives. 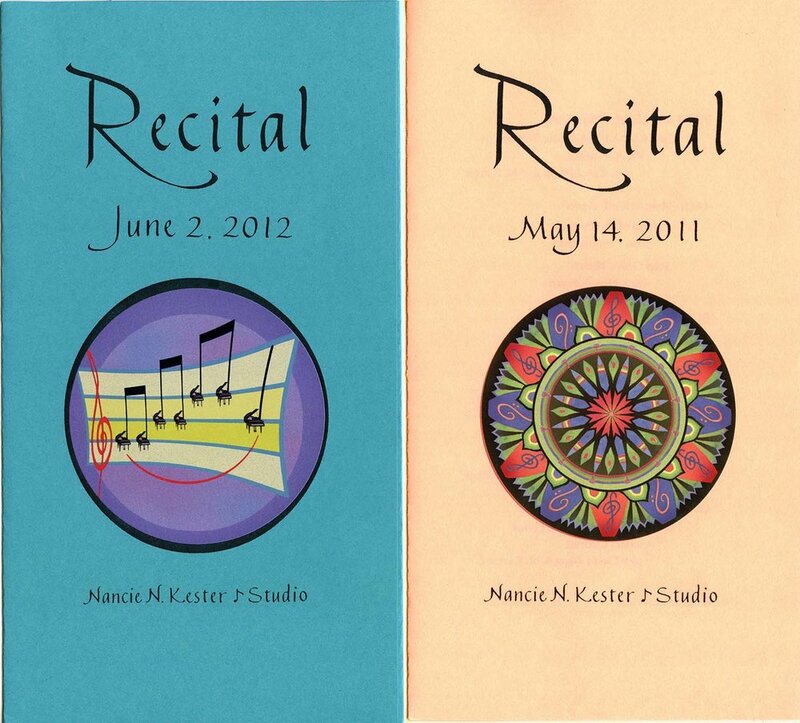 As a calligrapher and artist, I also design the programs for my students' Spring recitals. Received consistently high ranks in teaching evaluations at community colleges. 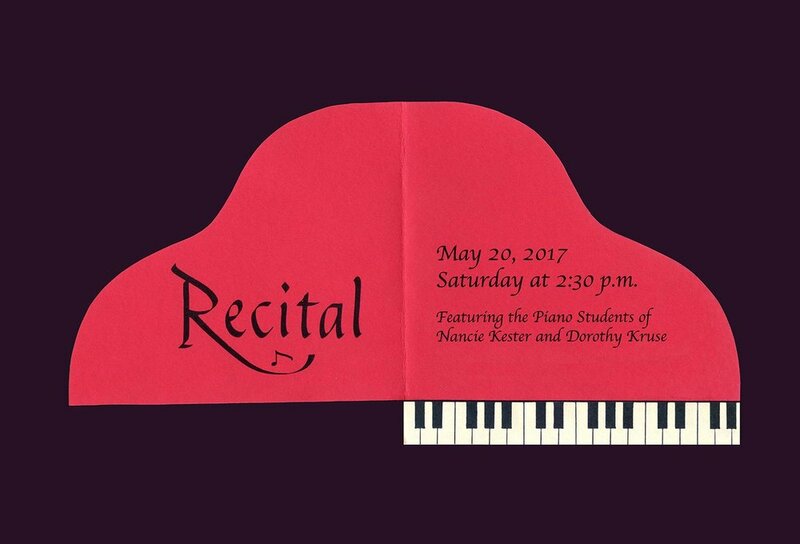 Performed as a pianist in Faculty Recitals at Diablo Valley College, including “Northern Lights,” an original work for piano duo. Performed as accompanist for numerous concerts, including three featuring Amy Ream and Marcelle Dronkers, sopranos.